Siamak graduated from Materials and Metallurgical Engineering Dept. at Queen’s University in 1998. He has been a faculty member of Chemical Engineering Dept. at University of Tehran in Iran since 2003. His research focuses on the fabrication and utilization of aerogel materials for energy saving and environmental applications including absorption of several types of contaminants such as heavy metals and oil spills from water resources, absorption of electromagnetic waves using modified carbon aerogels and development of heat insulator paints. Shirin is the Laboratory Technologist/Research Assistant of the Hydrometallurgy Group at The Robert M. Buchan Department of Mining at Queen’s University. 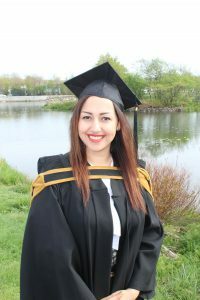 Shirin obtained her Master of Science in Environmental Science from Memorial University of Newfoundland and her Bachelor of Chemical Engineering from Amirkabir University of Technology (Tehran Polytechnic). Shirin has been involved in numerous hydrometallurgical projects, mostly related to waste management including but are not limited to gold recovery through biosorption from e-waste; cobalt, molybdenum, and nickel recovery from spent hydroprocessing catalysts; and precious metals (i.e. platinum, palladium, rhodium) from spent catalytic converters. She has been awarded numerous awards for her research and leadership skills including Mitacs Accelerate Internship Award in 2014, Research Excellence Award (Mater’s category) from Memorial University in 2015, and Best Dissertation of the Year from Tehran Polytechnic in 2010. She has also published more than 12 research papers in peer-reviewed journals and have presented at international conferences. Shirin is a mother of one, loves volunteering and community engagement, and enjoys travelling around the globe. 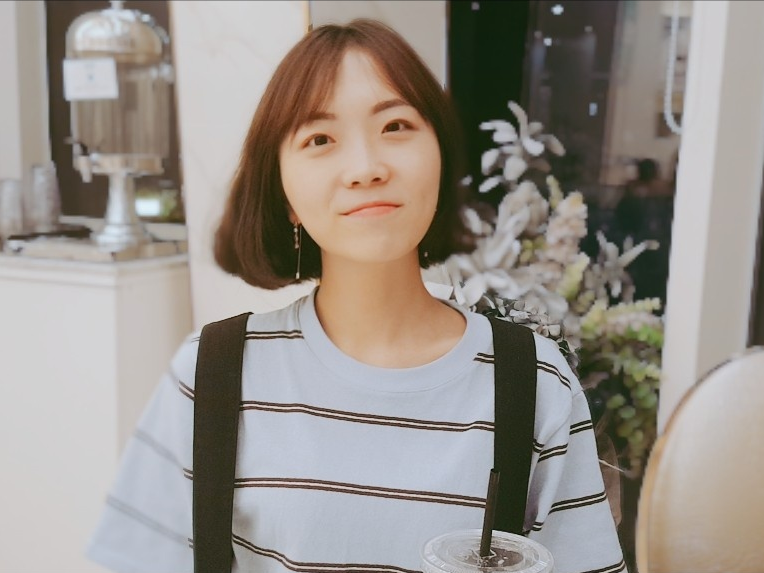 Rina Joined the group in June 2016. Rina has earned her Ph.D., M.Sc. and B.Sc. all from the Seoul National University, one of the top universities in Korea. 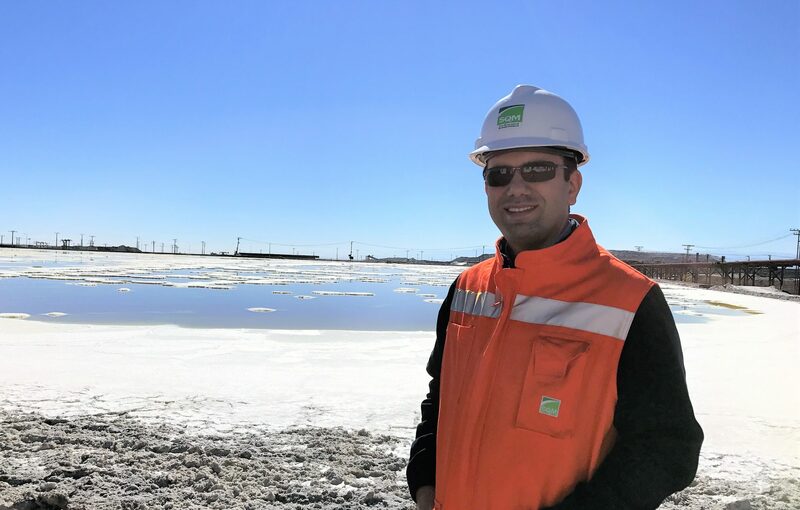 Rina brings to our group extensive experience in the rare earth elements metallurgy, uranium leaching, recycling of valuable materials from home appliances, and purification of mine tailings. She has published several journal and conference papers on those topics. Rina’s research goal at Queen’s University is to develop a better understanding of the oxygen role in the gold leaching processes in cyanide and also thiosulfate solutions. 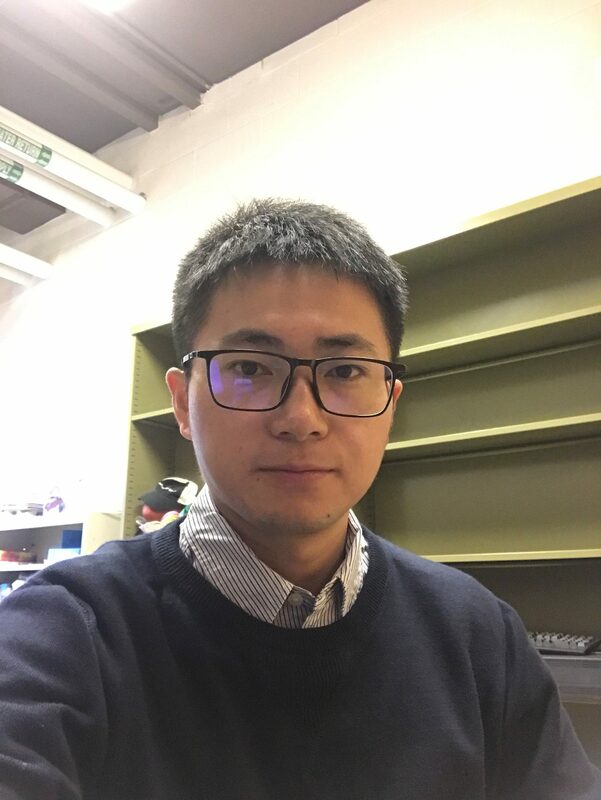 Jingxiu joined the Hydrometallurgy & Environment Group at Queen’s University in June 2018. She obtained her Doctor of Philosophy in Materials Engineering from University of Wollongong and her Master of Biochemical Engineering from China University of Petroleum (Beijing). Jingxiu has extensive experience in the extractive metallurgy, especially in the recycling of metallurgical wastes. She has been involved in many hydrometallurgical projects relevant to organic acid leaching, bioleaching, and bioremediation of contaminated soils. Jingxiu’s research will mainly focus on gold bio-hydrometallurgy. Lin Li completed his Bachelor degree (2011) in Metallurgy Engineering from Taiyuan University of Technology and Master’s degree (2014) in Hydrometallurgy from Central South University in China. In 2015, he joined the Hydrometallurgy & Environment Group at Queen’s University and earned his Ph.D. supervised by Dr. Ahmad Ghahreman in November 2018. 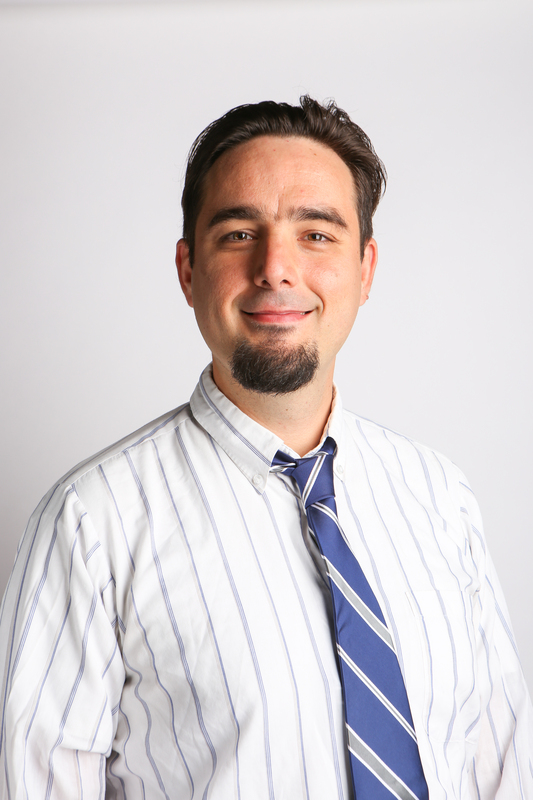 Now he works as a Postdoctoral fellow at the same group since January 2019. Lin has accumulated a wealth of experience in electrochemistry and hydrometallurgy from previous research projects. His current research focuses on pyrrhotite and sulphide minerals oxidation as well as the electrochemical studies of sulphide minerals dissolution. She obtained her BSc and MSc degrees from Sharif University of Technology and University of Tehran, in the field of Materials Science and Engineering, Extractive Metallurgy. 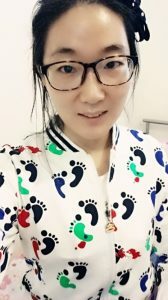 She worked on the extraction of rare earth elements (REE) as her master’s thesis and in Sept. 2015, joined the Hydrometallurgy & Environment Group in the Robert M. Buchan Department of Mining at Queen’s University, working on the impurity removal stage of hydrometallurgical treatment of REE. The goal of her project is to make lime and limestone viable options to be used instead of other expensive reagents for removing impurities from REE leaching solutions, by means of decreasing or ideally diminishing the coprecipitation of REE with precipitated gypsum. Her main area of interest is hydrometallurgical processing of materials, with knowledge in pyrometallurgy, chemistry, extractive metallurgy and mineral processing. 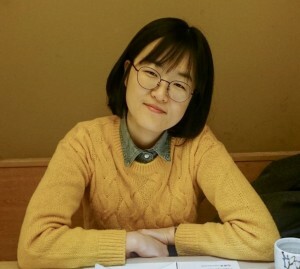 Fei is currently a visiting PhD student (founded by China Scholarship Council) from Chongqing University in China for 2 years. In 2015, he got promoted to a PhD program in the department of Material Science and Engineering at Chongqing University, where he entered as an MSc student in 2013 with a Bachelor’s in Metallurgy Engineering from Chongqing University of Technology. Alexandru graduated from the University of Toronto in 2006 with a Bachelor’s in Applied Chemistry and Chemical Engineering. In his 4th year thesis, he investigated the feed requirements for a strain of anaerobic bacteria used in groundwater remediation. In 2013, he graduated from the Royal Military College of Canada with a Master’s degree in Chemistry and Chemical Engineering. In his thesis, he investigated the kinetics of decomposition of siloxanes on gamma alumina. The application of this work is the purification of biogas so that it can be safely used as a fuel source. Since 2013 he is pursuing a PhD at Queen’s University. He is co-supervised by Jacob Jeswiet, in mechanical engineering, and by Ahmad Ghahreman. He is developing a process to recycle lithium ion batteries. The goal is to achieve a process that not only achieves a high recovery of transition metals but also a high recovery of battery grade lithium, with minimal energy usage. In 2015, Alexandru was a summer scholar of the Japanese Society for the Promotion of Science and spent the summer at Kansai University, Japan investigating the use of cation exchange membranes in the separation and recovery of metals from leached lithium ion battery cathodes. Aside from his academic work, Alexandru enjoys singing in choirs, playing rugby and volleyball. He also serves currently on the Senate of Queen’s University. Fariborz got his Bachelor’s degree in materials science and engineering (extractive metallurgy) from Iran University of Science and Technology (IUST) and got his Master’s degree in the same major from University of Tehran. He ranked first during both his M.Sc. and B.Sc. and won a thesis support award from Iran Elite National Foundation for his M.Sc. 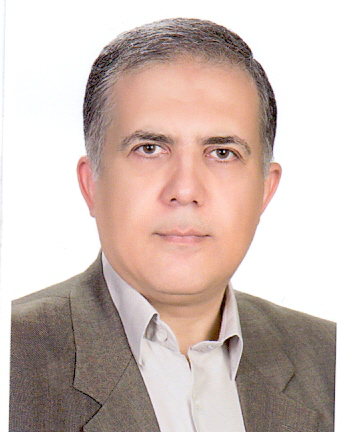 Fariborz is experienced in many fields of extractive metallurgy including bioleaching, organic acid leaching, solvent extraction, kinetics and thermodynamics and has also served research assistant in Extraction, Synthesis, and Recycling (ExSyR) laboratory at University of Tehran. He is interested in hydrometallurgical approaches of metals recovery and recycling from both primary and secondary resources and has done so many projects in this field. The outcome of all these activities is his publications and presentations in peer-reviewed journals and conferences. I was admitted as a B.Sc. student in Materials Science and Engineering department at Sharif University of Technology in 2010 and after working on some projects including Ag-Pd coating by electrodeposition and corrosion inhibitors, I graduated in 2014. Being one of the top students in the bachelor’s program of Materials Science and Engineering, I was awarded admission to M.Sc. program of Corrosion and Protection of Materials in 2014. I worked on the synthesis of the biocompatible composite coating as my M.Sc. thesis. After getting valuable experiences in the program, I graduated in 2017. I joined the Hydrometallurgy and Environment group at Queen’s University in September 2018 and my project will focus on the stability of non-toxic solutions for gold extraction with high efficiency. Watching movies, hanging out with friends, biking and volleyball are my favorite activities. I got my Bachelor’s degree from the Department of Energy Resources Engineering at Seoul National University (SNU) and got my Master’s degree from the Department of Energy System Engineering at the same university. I was in the mineral processing lab and I mainly worked on the hydrometallurgical processes. 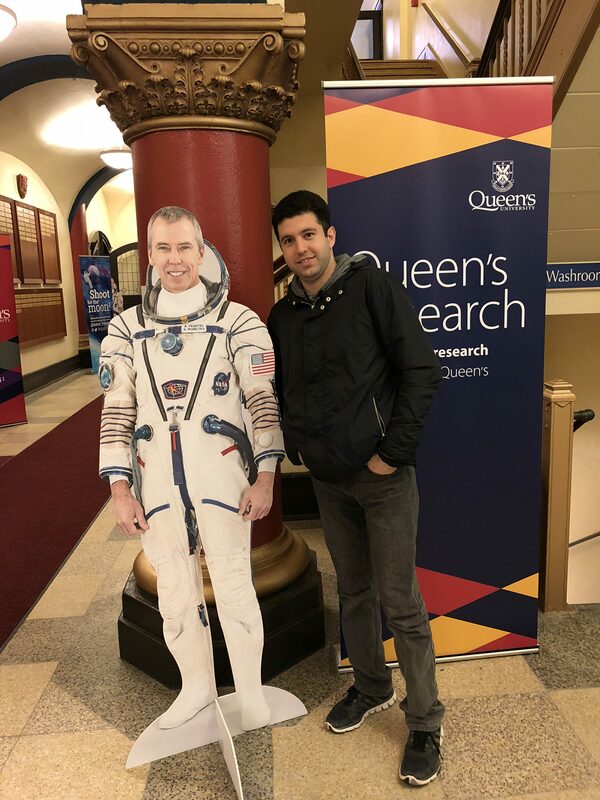 During my Master’s program, I have been the visiting student in the hydrometallurgy lab at Queen’s University for two months. My research will focus on extracting lithium from spodumene. Omid obtained his BSc and MSc degrees from Sharif University of Technology, in the field of Materials Science and Engineering, Extractive Metallurgy. 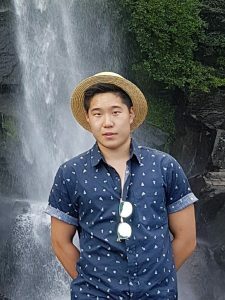 He worked on the extraction of various metals as his bachelor and master’s projects and in Sept. 2018, joined the Hydrometallurgy & Environment Group in the Robert M. Buchan Department of Mining at Queen’s University. His research will focus on developing an economic and efficient method to recycle different resins. His main area of interest is pyrometallurgical and hydrometallurgical processing of materials, with a background in chemistry, extractive metallurgy, and mineral processing. 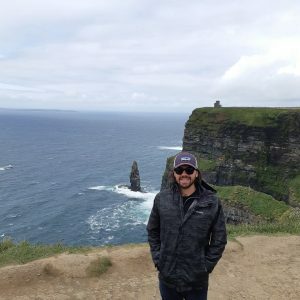 James graduated from the Robert M. Buchan Department of Mining at Queen’s University with a BASc in mining engineering and a MASc hydrometallurgy in 2016 and 2018, respectively. After his mining engineering degree, James become interested in metallurgical processing during his thesis on alternative sulfur sources for the SART process. His Master’s research was primarily focused on cerium oxidation and separation in rare earth element processing. James also has experience in rare earth solvent extraction, mineral economics, and is avidly interested in the sustainable development of hydrometallurgical processes with minimal environmental impact. He returned to Queen’s in 2018 to pursue a PhD in Bio-hydrometallurgical leaching of refractory sulfide ores. When not in the lab or office James can likely be found on a dock at the cottage, boating, skiing, scuba diving, or working in his garage. Somayeh graduated from Tehran University with a bachelor’s degree in Industrial metallurgy engineering. She got her master’s degree in Metallurgy Engineering at Tehran University. During this time, she experienced working on zinc electrowinning. 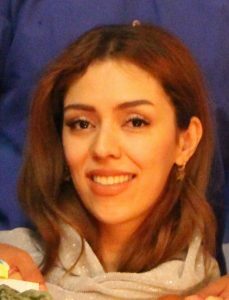 She is currently a PhD student at University of Tehran and has joined the Hydrometallurgy group at Queen’s University as a visiting PhD student since 1 December 2018. I completed my bachelor and master of Materials engineering at University of Tehran. My master thesis focused on Selective Solvent Extraction of zinc and iron from waste liquor. During my Master, I have published 4 papers, which 2 of them are journal papers and were published in separation and purification technology and separation science and technology. In January 2019, I joined the Hydrometallurgy & Environment Group in the Robert M. Buchan Department of Mining at Queen’s University, working on gold extraction via biomining. My main research interest is hydrometallurgical processing of materials, organic chemistry and extractive metallurgy. Charles is an M. Sc. student in the Hydrometallurgy and Environment group at Queen’s University. Originally from China, Charles has visited the hydrometallurgy lab at Queen’s University during summer 2016 as a MITACS Globalink Research Assistant, and rejoined this amazing group, which conducts cutting-edge research aiming to extract metals from refractory resources at lower costs and to eliminate environmental effects of mining process, after received a bachelor’s degree in Minerals Engineering from Central South University in 2017. Charles is focusing on developing novel methods for arsenic immobilization and removal from mineral processing streams and wastewaters. His research is more based on chemistry and electrochemistry sides to thoroughly understand the mechanism of the arsenic oxidation process and study the kinetics of the reactions so as to promote the adaptabilities for industry application. In his leisure time, Charles enjoys a bunch of things to do outdoors: jogging, hiking, cycling, skiing, and kayaking. I joined the Hydrometallurgy group in May 2018 as a Master’s of Applied Sciences candidate. I am currently working on the Study of Gold-Thiosulphate leaching process. I received my Bachelors in Engineering in Chemical Engineering degree from Thapar University in India and Master’s of Engineering in Chemical Engineering from Queen’s University. Before coming to Queen’s in Sept 2017 for my M.Eng, I served India’s largest Petrochemical and Refining company, Reliance Corporation Ltd. for a year as a Graduate Engineer Trainee in the commissioning of Refinery off-gas cracker plant (ROGC). During my time as a Bachelor’s as well as Master’s student, I keep myself consistently involved in student societies and clubs. Presently, I am serving as the Social media and Marketing Manager of Science to Business Network (S2BN), Kingston Chapter. Also, I enjoy dancing and has been a Choreographer in the Queen’s Indian Student Association (QISA). I am a chemical engineering student going into my final year of undergraduate studies starting in September 2018. 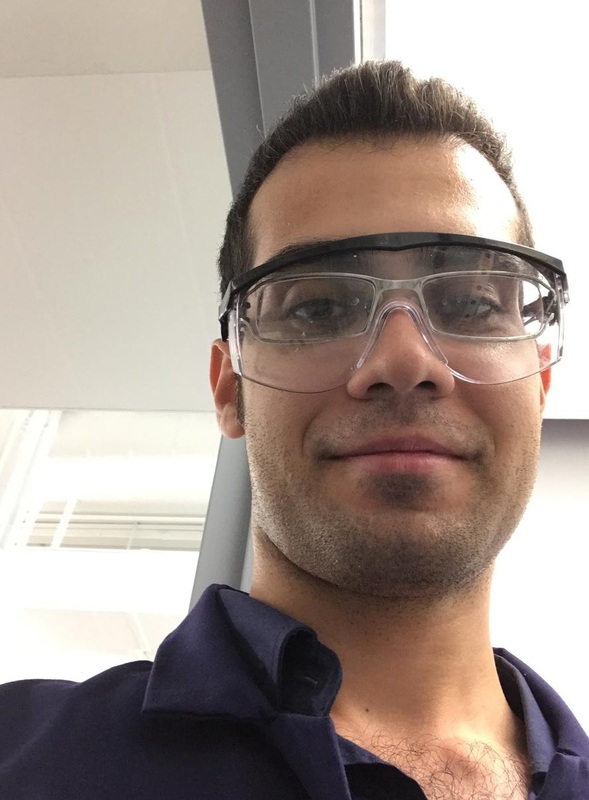 I am an NSERC USRA summer research student and I will be working as a research assistant under the supervision of Dr. Ghahreman and his post-graduate team. I hope to use my knowledge in chemistry and apply it over the summer to further my interest in metallurgy. My other interests are soccer, running, and snowboarding. Caitlyn McKinley (MSc student 2015 to 2017). Currently, a graduate student in OT program at Queen’s University. Rebecca Radzinski (MSc student 2014 to 2016). Currently a Metallurgist at Algoma Steel. Said Karimi (visiting PhD student): currently PhD student at the University of Tehran. Thomas Mills (Undergraduate Research Assistant 2016-2017). Currently with a mining company in Canada. Dr. Amir Nazari (PDF, 2015 to 2016). 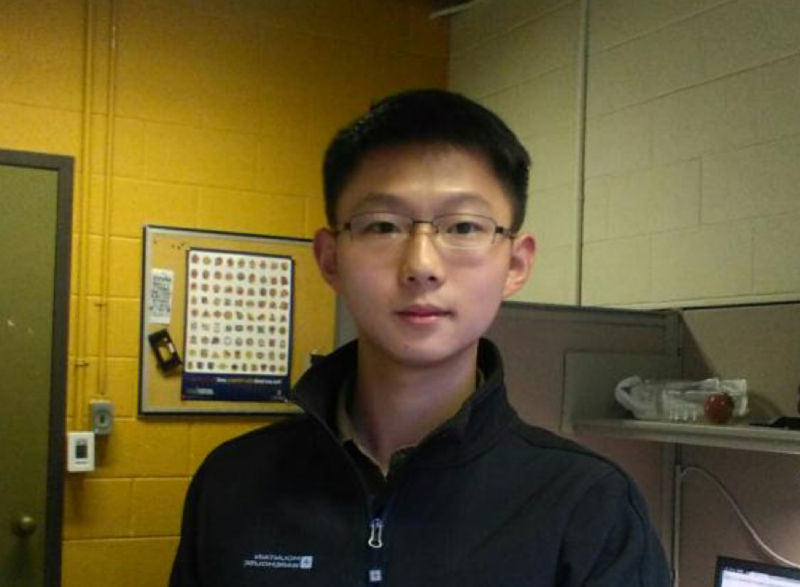 Chengqian (Charles) Wu (MITACS undergraduate research assistant from Central South University, China, summer 2016). Vincent El Ghoubarira (Visiting undergraduate student from the American University of Beirut, summer 2016). Dr. Min Tian (Post-doctoral Research Assistant) – Current Position: Fire Assay Specialist at Kingston Process Metallurgy (KPM). Raquel F. Tiago (MITACS undergraduate student from Brazil) – Current Position: 4th year undergrad student. Caitlyn McKinley (NSERC USR Undergraduate Research Assistant 2014-2015) – Current Position: MSc student in our group. Jennifer Tylor (Undergraduate Research Assistant 2014-2015). 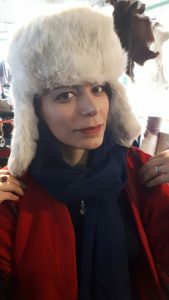 Catalina Polanco Palacios (Visiting Undergraduate Student from Universidad Católica de Chile, Chile) – Current position: MSc candidate at Universidad Católica de Chile. Moleti Motlhagodi (BASc Chemical engineering at Queen’s) – Current position: Mineral Processing Intern at Vale Mining Company (2015-2016). Tom Parr (BASc Chemical engineering at Queen’s). Alexander Cushing (PhD Mining Engineering – Mineral Processing at Queen’s 2014-2017). Current position: Metallurgist at SGS Lakefield (2018-present). Kayden Kaller (BASc Engineering Chemistry at Queen’s 2013-2018). Current position: Process Engineer at Kingston Process Metallurgy Inc.
Rachel Watts (BASc Mining Engineering-Mineral Processing at Queen’s 2013-2018). Current Position: Engineer at Freeport McMoran. 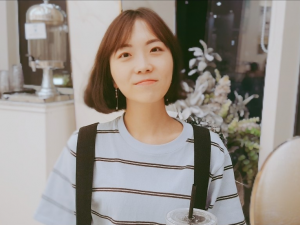 Zhi (Carrie) Yang (Visiting undergraduate student from Northwestern Polytechnical University of China July 2017-Sep 2017). Current Position: Master student at Rice University. Kyle Lister (Part time research assistant Oct 2017-April 2018). Current Position: Master student in Chemical Engineering at Queen’s University. Broden Cecic (Volunteer Undergraduate Student Summer 2018). Current Position: Bachelor student in Chemical Engineering at Queen’s University. Johannes Zenner (MITACS Master Student from RWTH Aachen University of Germany May 2018-Aug 2018). Current position: Master Student at RWTH Aachen University of Germany. 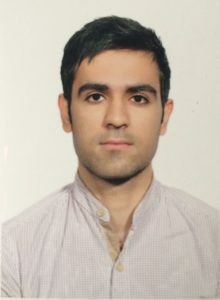 Dr. Fazlolah (Fazel) Jahromi (PhD student 2014 to 2018). Current Position: Metallurgist at HATCH company. 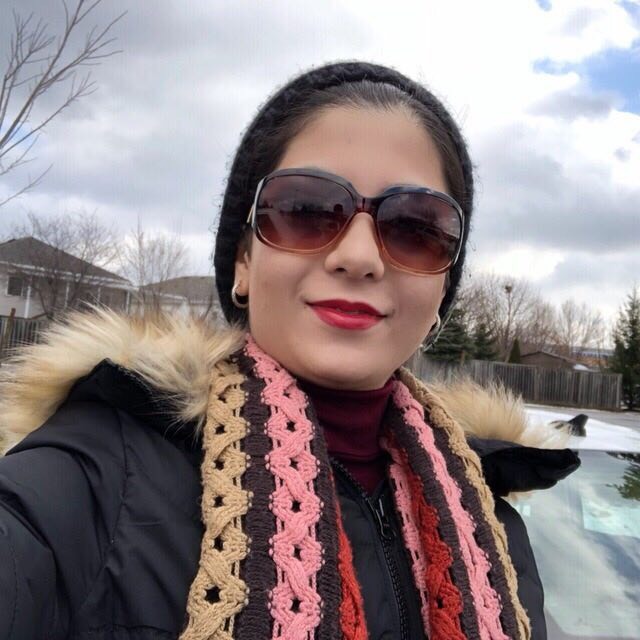 Aritra Acherjee (Summer undergraduate student 2018). Current Position: Undergraduate student at Queen’s University. Dr. Denver Cowan (PhD student 2014 to 2018). Current Position: Metallurgist at SGS, Lakefield. 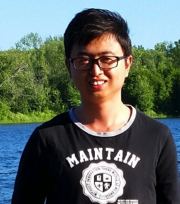 Gui Liu (Visiting master student Fall 2018). Current Position: Master student in Metallurgy Engineering at Central South University (CSU).